The DeLorean, a car immortalized by the Back to the Future film franchise, was relegated to the pages of history some 35 years ago when the original production came to a halt. Now, however, it’s getting a second — albeit brief — chance at life. The DeLorean Motor Company of Humble, Texas, has been given the green light by the federal government to restart low-volume production of the gull-winged sports car. 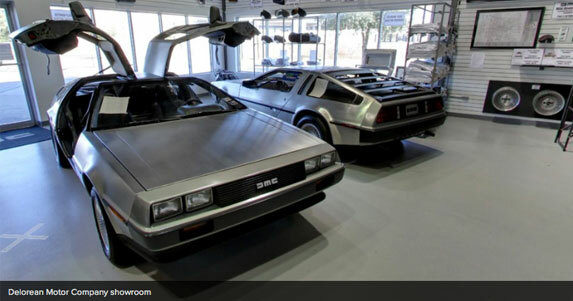 Although they’re being classified as “replica” cars, the new DeLoreans are being produced using new old stock (NOS) parts from the original U.S. Warranty Parts Center, which DeLorean Motor Company of Texas purchased in 1997. DeLorean CEO Stephen Wynne told KPRC2 in Houston that he estimates he has enough parts to build around 300 replica DeLoreans. “We also have a full set of engineering drawings for each part of the car, and as supplies are exhausted we make every effort to reproduce (and improve, where possible) these parts to ensure long-term availability,” the DeLorean Motor Company website explains. While the new DeLoreans will cost “less than” $100,000, you can also buy a refurbished DeLorean from the company for around $45,000 to $55,000. “It’s fantastic. It is a game-changer for us. We’ve been wanting this to happen,” Wynne told KPRC2. Mashable has also reached out to Wynne for comment. If either of those figures are a bit outside your price range, you have time to save up (or to win the lottery). DeLorean Motor Company won’t have the first new models finished until 2017. Either way, it’s time to start practicing your Doc Brown impression.